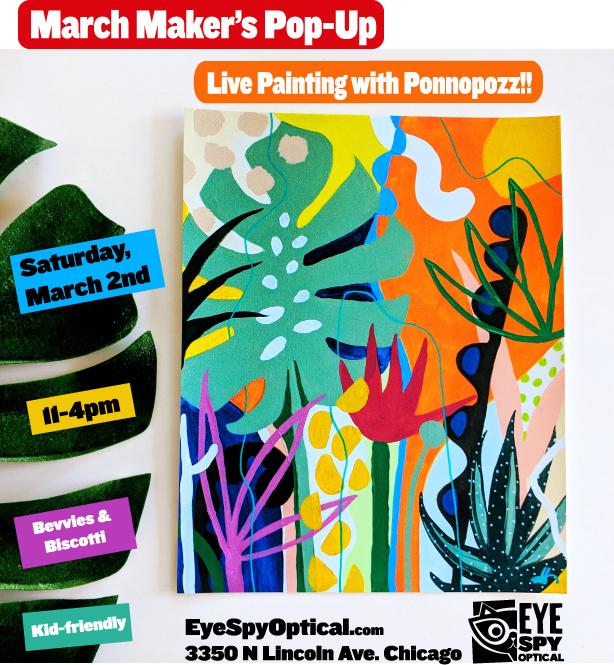 Join us On Saturday, March 2nd for our March Maker’s Pop-up with Adrianne from Ponopozz! 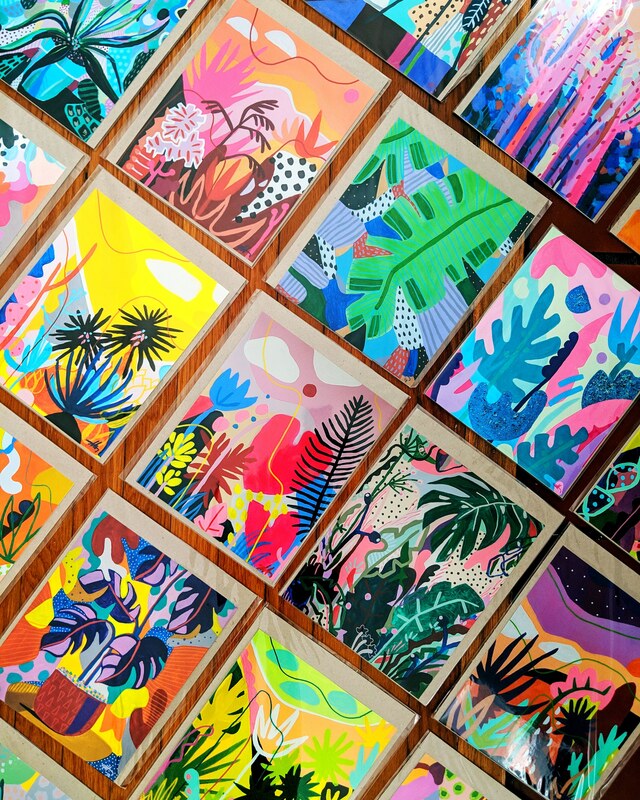 Adrianne moved to Chicago about a year ago…and has been brightening up our lives even since! 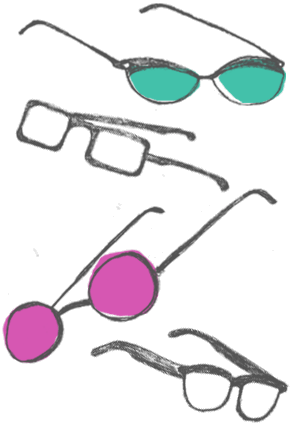 We love her paintings…and she loves our glasses, so we decided to join forces for the day. 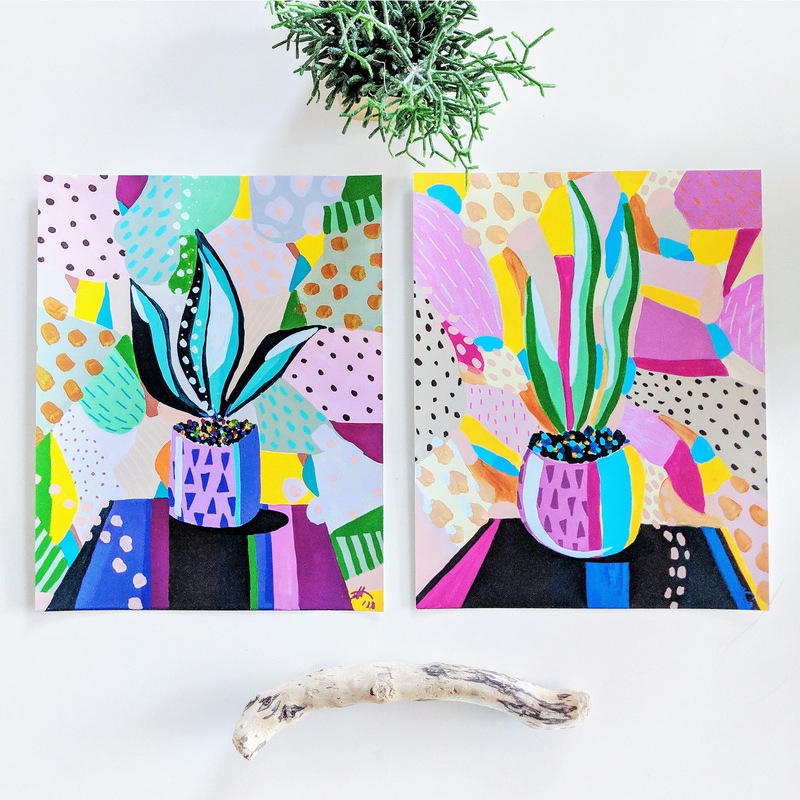 From 11-4pm, Adrianne will be at Eye Spy painting a canvas for all to see. Watch her painting come to life…while you, or your little one, color along masterpieces of your own. We will have some coloring sheets and pencils so you can join in the fun! Book Swap, Readings and Spy Gear at Eye Spy…OH MY!